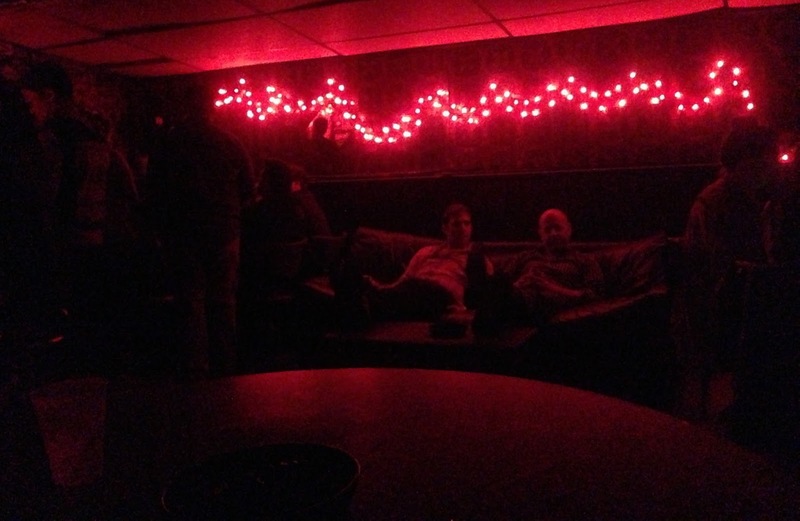 A few years ago, in a dive bar in Renton, Washington, I was discussing our mutual love of dives with a fellow there and he told me, "I like bars that have Christmas lights up all year round." That struck me as pithy and particularly evocative description of these places we both liked. I'm quite confident that this fellow never went to Snake and Jake's Christmas Club Lounge, for otherwise he surely would included it at the top of the list of suggestions he gave me. 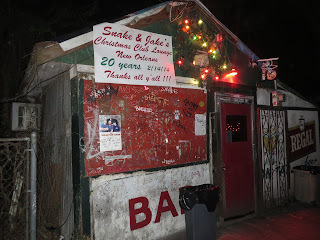 And despite that -- let's be honest, largely because of that -- the bar is said to have hosted Anthony Bourdain, George Clooney, Jude Law, Quentin Tarantino, Mick Jagger, Keith Richards and erstwhile nextdoor neighbor Dr. John. Inside its dark confines they mix with students from nearby Tulane, slackers, rockers, artists and old fogeys -- although it can be hard to recognize any of them in the dim glow of the red Christmas lights that account for most the visible light. The bar is well off the beaten track in a residential neighborhood in the Uptown area. It opens at 7pm, doesn't close until 7am, and doesn't really get going until 1am or 3am ("Snake-o-clock"), depending on who you talk to. If you are bar hopping it is sure to be your last stop of the night. 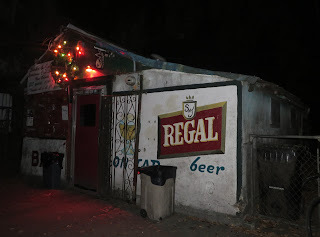 The regulars are eclectic, funny, and sardonic. This character was even on display after Hurricane Katrina, when TV news showed the roof of the building with a message for the FEMA rescue helicopters, "NEED ICE." Their house drink is called a "Possum Drop," an homage to a night when a ceiling tile with a live possum crashed onto a patron's head. The secret has long been out. Snake and Jake's is commonly included in lists of the country's best dive bars and best bars in New Orleans. 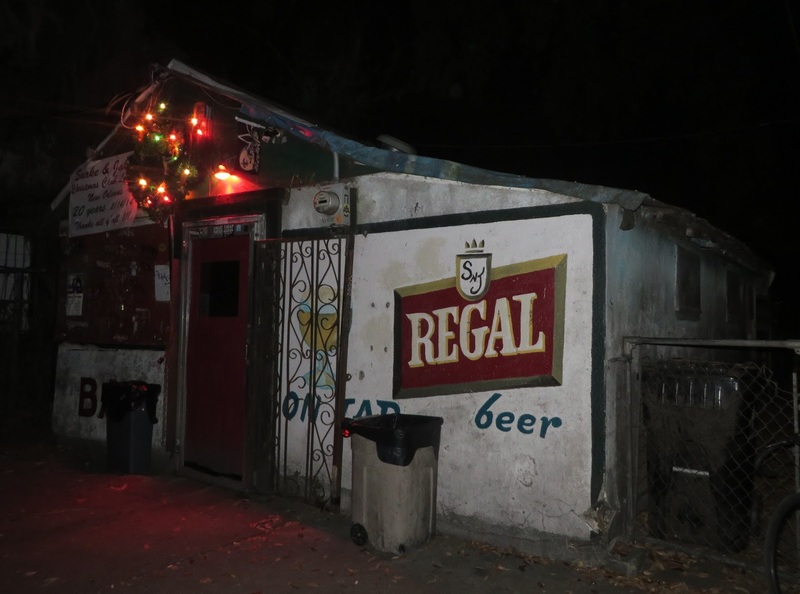 Several call it the best dive bar in the world. And I can't think of any compelling argument to the contrary.